Top of the line cedar, beautiful color. You won't see boards like these very often. Kiln dried, skip or finish planed. Cedar is very rot resistant. This is a lower grade wood, and has lots of knots. 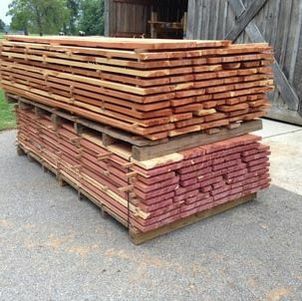 Its very good for projects that don't require the high grade cedar.